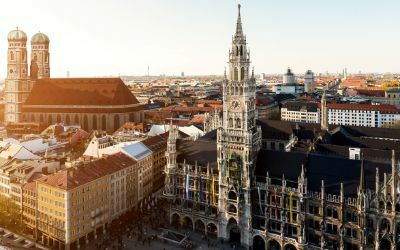 The Neue Rathaus (New Town Hall) is a magnificent neo-gothic building from the turn of the century which architecturally dominates the north side of Munich’s Marienplatz. It’s construction of brick and shell limestone was completed by Georg von Hauberrisser between 1867 and 1874. 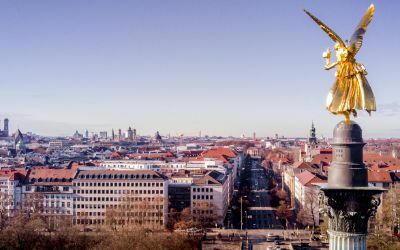 The swift growth of the city soon required that annexes be built, which were erected between 1899 and 1903 and run along Dienerstraße, Landschaftstraße, and Weinstraße. The Neue Rathaus is the seat of the mayor’s office, the city council, and the headquarters of the city administration. The almost 100-meter-long (300 feet) main facade on Marienplatz is richly ornamented in neo-gothic style and shows almost the entire line of the house of Wittelsbach in Bavaria. The Glockenspiel in the tower balcony of the Neues Rathaus is also world famous and worth seeing. Since 1908, figurines representing stories from Munich’s history twirl on two levels daily at 11:00 a.m., 12:00 p.m., and 5:00 p.m. (the 5:00 p.m. show is omitted from November through February). 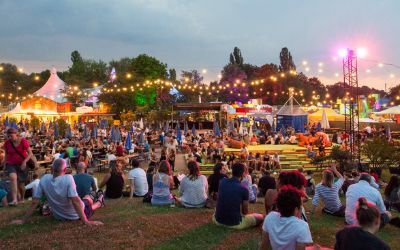 In addition to the well-known coopers dancers, the Münchner Kindl (symbol of the city’s coat of arms), and the angel of peace also make an appearance in the almost 12-minute-long spectacle. At the top of the 85-meter-high (255 feet) tower on the city hall is an observation deck that can be accessed with an elevator and offers a grandiose view of the roofs of the city, even as far as the Alps in nice weather. In the generous and richly painted cellar vault of the Neues Rathaus is the Ratskeller, a traditional Munich restaurant since 1867.